GIFTEDBLOG had reported that the suspect, whose identity was given as Jonah, decided to cut off the sister’s head after a heated argument ensued between them Thursday morning. 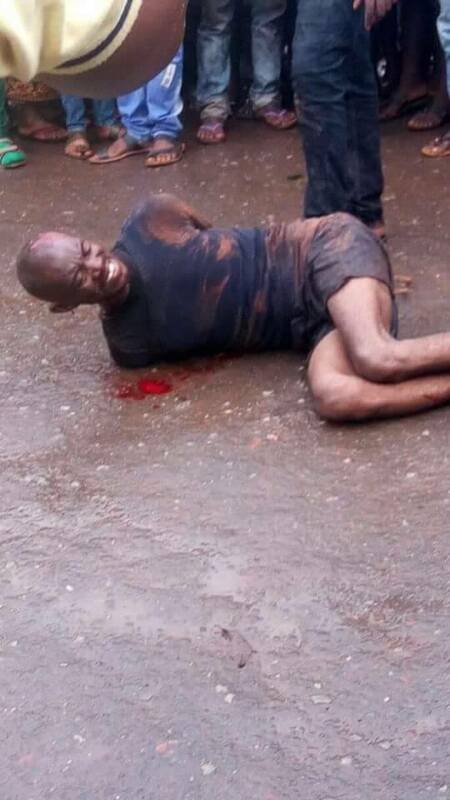 Nemesis, however caught up with him while he was trying to escape from the village after the incident, as community youths caught up with him and beat him mercilessly. Though police came to his rescue and took him to their station, he was confirmed dead due to the magnitude of the beating.